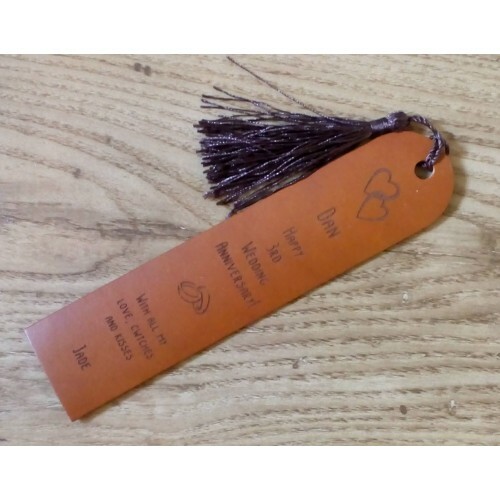 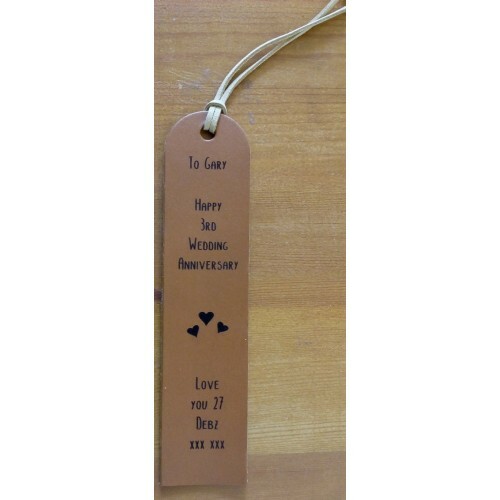 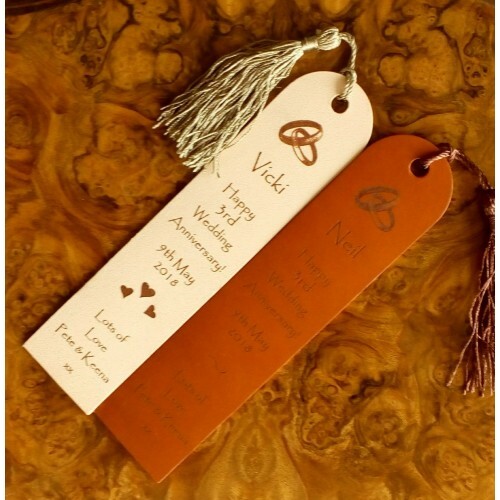 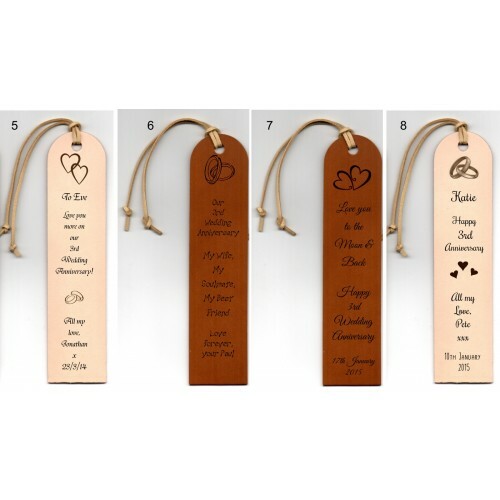 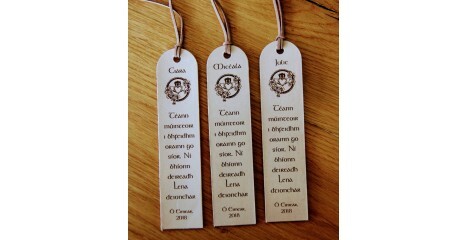 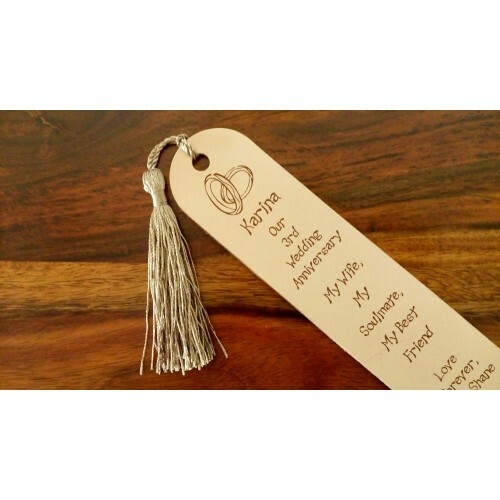 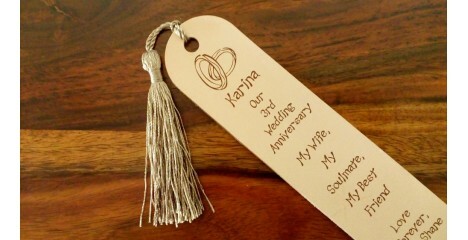 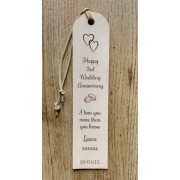 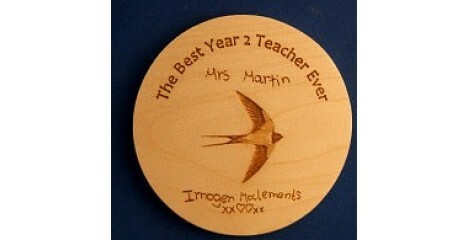 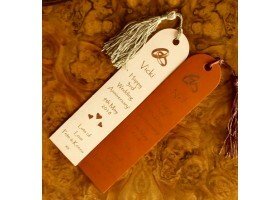 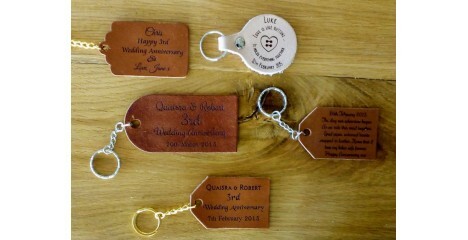 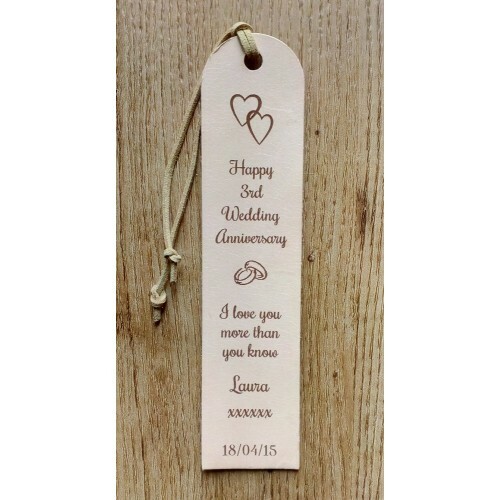 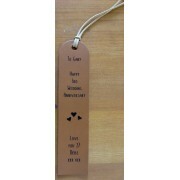 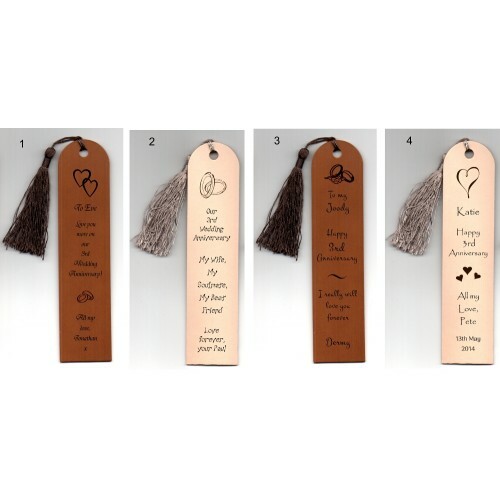 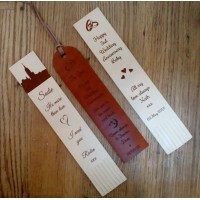 Personalised leather bookmarks engraved for a 3rd Anniversary Gift in set designs. 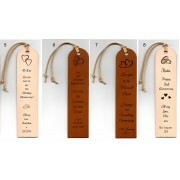 Choose from the ideas shown. Available in dark whisky tan or light vegetable tanned leather and with silky tassel or leather effect lacing. 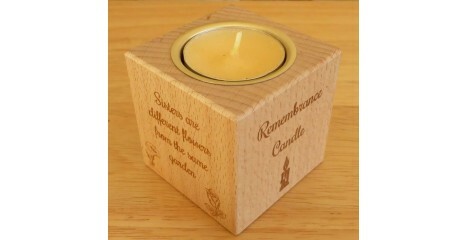 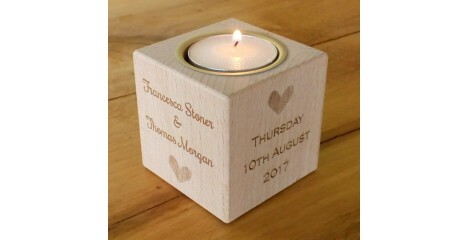 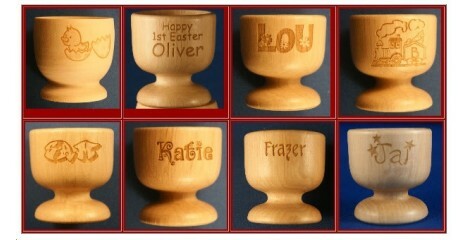 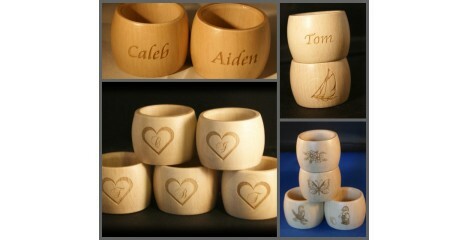 Just let us know names, dates, and any images you would like incorporated in the design and we'll send you a couple of ideas to choose from or change about as you wish.